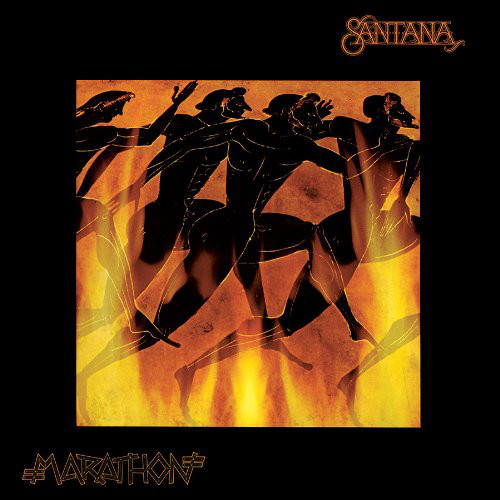 This is another Santana album in their series of AOR offerings, that are often not mentioned in assessments of the band's career or given much critical kudos. This is a bit of a shame as they are all pretty good albums. Culturally, the album is a bit out of time, with punk and new wave at their height. It ploughs a soulful AOR sound early on in the album that has an appealing, laid-back, almost jazzy late night feel in some places and a lively, infectious poppy rock sound in others as the album progresses. I like it, but I like it far more now than in 1979. The opener, the title track, is a powerful short blast of guitar, drums and bongos that merges into "Lightning In The Sky", a synthesiser-driven rock track that introduces new vocalist Alex Ligertwood, who would stay throughout the eighties. It is full of percussive rhythm and riffy interjections. "Aqua Marine" has a delicious bass line and a captivating, beguiling flute and keyboard melody. The whole track (it is an instrumental) has a beautiful, chilled-out ambience way before such things were part of a genre. "You Know That I Love You" is a poppy, commercial-sounding number that, unsurprisingly, was released as a single. It doesn't really carry any Santana trademarks at all. If you didn't know it was Santana, you certainly wouldn't say it was them. It actually sounds a bit like Chicago's poppier late seventies output. "All I Ever Wanted" is vaguely punky-sounding number (if that were possible - something about the riff). Again, it has a poppy refrain and a bit of a later career Doobie Brothers feel about it. The upbeat "Stand Up" is again a bit Doobie Brothers, with some impressive bluesy harmonica at one point before we get some wild organ soloing and funky guitar. Ligertwood's vocal has echoes of Steely Dan too. "Runnin'" is a brief, chunky slice of bass/drum and guitar instrumental interlude. It continues the high tempo feel of the album at this point. This is slowed down just a little for the mid-tempo soul of "Summer Lady". Carlos Santana's guitar floats effectively in and out on this track, but, as with most of this album, it is certainly not omnipresent. Briefly, near the end, we get a bit of organ and percussion interplay that takes us right back to the late sixties/early seventies. 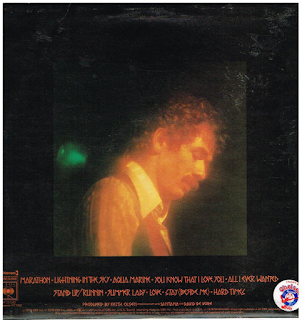 "Love" is a guitar-driven, slightly more recognisable Santana rock number, with Carlos contributing some searing guitar for the first time in such a blistering style. "Stay (Beside Me)" has the group going all Shakatak with some jazz-funky lounge bar piano and Carlos giving us some great guitar again. Good stuff. "Hard Times" has some swirling organ riffage and an excellent rock vocal. This is the hardest rocking track on the album. Carlos's guitar lights a bright, warm fire again, as if he has left the best contributions for the last three cuts. Some typically frenetic percussion signs off this album which, although I slightly prefer "Inner Secrets" is not quite the "run of the mill" offering many have said it to be.